Batik is a masterpiece of a fine art that abstractly has philosophy within, yet has a character that showing the culture of Indonesia. As an icon of culture, Batik is a local genius that has a great historical value. 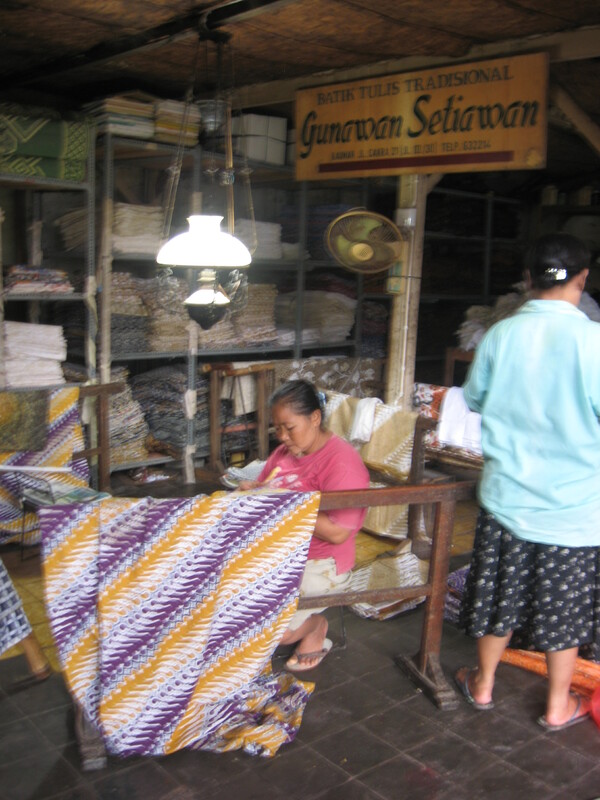 Hopefully “ Solo “ as the city of Batik would be able to maintain its heritage and keep the existence of traditional art. In the mission of introducing Batik to the world, one of the Guide of Solo ( Mr. Ajib ) has made a great deal with one of Batik owner of Kauman ( Mr. Gunawan Setiawan ) to make a little space of his workshop to be a class of learning Batik. Gunawan Batik has opened his dor for this special ocassion by providing a Batik course both for introduction class or longitudinal course until advance level.